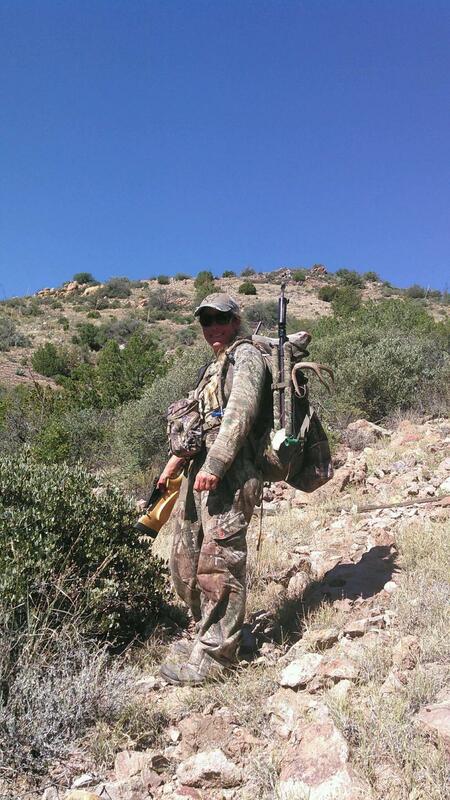 Christina Boggs is a hunting and fishing guide in Arizona specializing in big game hunts and kayak fishing trips. I’m a little different. I started off as a non-hunter for the first 35 years of my life. My aunt’s husband hunted; I liked being outdoors so I would tag along and enjoy the outdoor part of it. The part you where you take the animal wasn’t always my favorite, but I liked being out there. I think after being a part of it, even though I didn’t participate in the hunting, eventually something in me just clicked that I wanted to do it, too. So, for many years I would carry a gun or bow around and I wouldn’t shoot anything; I was learning. Then eventually one day that clicked too and I took that next step. I still sometimes am so surprised that I hunt. I’m still that other person, but I’m a hunter now, too. Quail was my first hunt. I was talked into carrying a gun around, I didn’t harvest anything that time out. It was a few more times out that I finally connected on one. It was duck after that. I went from that to javelina, then deer and elk. Throw in turkey and coyote and all the other things! I love that I know where my meat comes from. It never leaves my hand, I process my own. 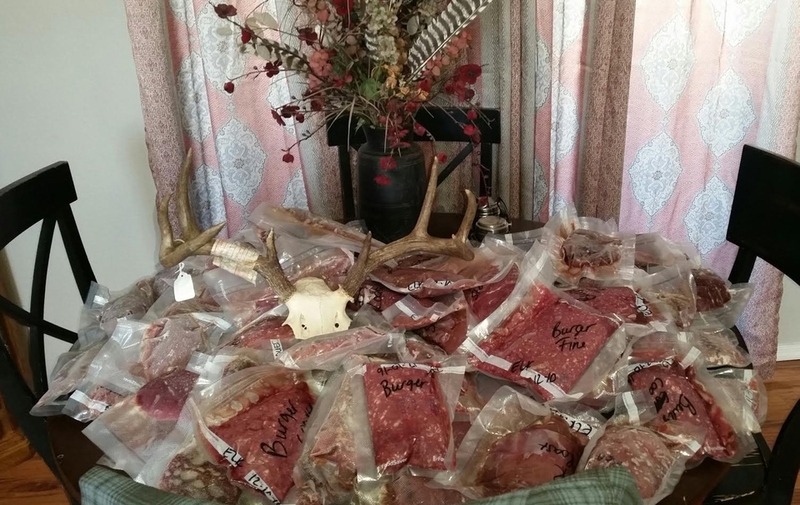 People talk about organic, you just can’t get any more organic than where hunters get their meat. I’m a single mom so for my daughter and I, a cow elk will last us nearly 2 years. A deer might last us a year. We don’t have to go to the store and buy meat that I don’t know where it came from. I’m definitely a meat hunter, no doubt about it. I like the challenge of mature animals, but in the end … it’s all about the meat! So … how did I start guiding? How it came about is a slow process for me because I don’t have the experience others do who have been hunting since they were children. But what I found as I was moving forward in my journey is that people were interested in me and a lot of people followed me along the way. I mentored at women’s camps for 3 years and when I saw the difference I was making in those women, it hooked me in. I knew I could have that same effect every day by being a guide. So I’ve done my best to learn as much as I can. I know I’m not as experienced as a lot of the other guides out there, but I offer something a little different. People showed me that there was a need; they asked me to take them hunting. I feel like I followed the path that was presented in front of me and work really hard. I want my hunters to succeed and hopefully, they have something in their hands at the end of the hunt. Last fall and winter was my first season as a paid guide. I got my feet wet. 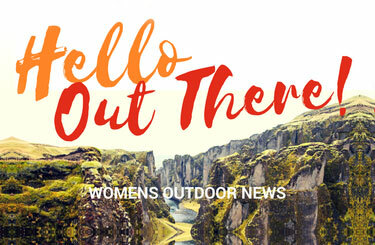 Originally I was going to work with a bigger outfitter and mentor under them, but it didn’t work out because they didn’t have enough work for me. People were asking me to guide them and I already had my license, insurance and permits because I’m a fishing guide. So I started guiding for myself. Many people that contacted me are older or disabled or there’s a reason they want me to hunt with them. When I would ask them after the hunt for their feedback, what I heard was that I’m extremely non-threatening; they’re not intimidated by me. [Michelle, please use this highlighted quote as a pull quote in the text] I hunt at their level. Even though I know that means they may not get an animal, I can’t expect them to climb some of the things that I would climb to get that same animal. So I know as a guide my harvest success percentage is going to be lower…but that’s not what it’s all about. A few of my hunters from last year are re-hiring me this year, so I did something right – no doubt about it. We saw animals and we had opportunities, but it’s harder. I go at their pace, it’s their hunt. I’m not going to make it miserable on them just so that they can kill. I haven’t guided any women yet. But I would like to! I helped a woman put in for the draw this year and I’m pretty sure she’ll be successful … so she will be my first. My first paid client for hunting was actually a result of the convenience factor that I can provide since I’m close to a lot of different hunting units. A friend of mine had someone in town for the weekend who was hunting, he had to go back to work and suggested that they come hunt with me to extend their trip. Since I knew the unit and had permits for it, I went out with him for 2 days. That’s a hard thing to do as a guide because I didn’t have the time ahead to scout. I did my best, we saw animals, but didn’t connect on one. It was challenging because I wasn’t as prepared as I’d usually be. I’m flexible, you don’t have to hire me for a 5-day hunt. I’m available, I’m a full time guide. If someone wants to hire me for 2 days that is fine. He put in for elk and he’s going to hire me again if he draws. I have 3 kids: a 25-year-old son, a 22-year-old-daughter and … a 9-year-old daughter. A funny story, one of my first experiences in hunting when someone harvested something was with my son, he was 12. He went hunting in the morning with his grandpa and I didn’t go because I wasn’t a hunter. I stayed at camp. When they came back, Grandpa wanted to take a nap midday. I asked my son ‘Do you want to go for a walk?’ He asked if he should bring his gun and I said, ‘Sure, you’ve got a tag!’ We went in this wilderness area, we’re just a mom and a son on a nature walk … and then there’s a cow elk right in front of us. I was carrying my son’s gun because he was tired of carrying it at that point. We stopped, I handed him the gun. He did everything perfect, he shot and it fell in its tracks. We walked over to the animal and said a prayer together. [another pull quote please] That was his first big game kill. To this day, he still thinks it was so special that I was there because I was really not thinking I was going to be a part of it that day. 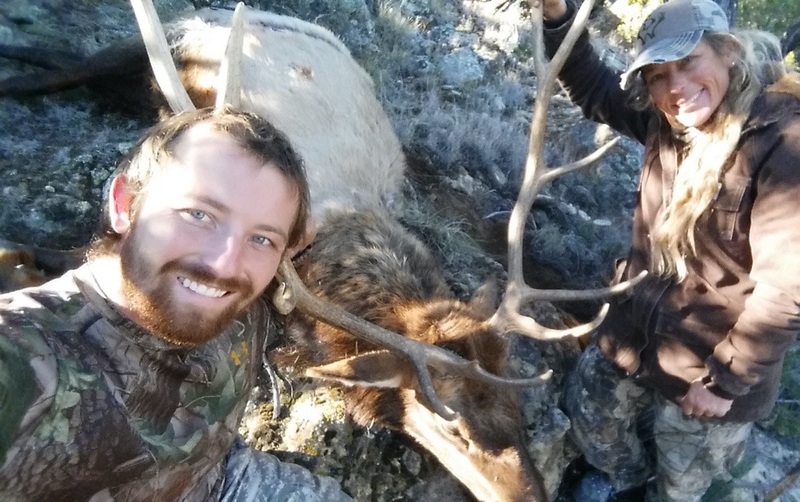 Two years ago I was with him when he killed his first bull, it was just us two. It was awesome to be there for his first cow and first bull. Not many moms can say that! I spread the love of hunting to him. Honestly, I love my father to no end, but he wasn’t the best exposure for a little girl to try to teach her to hunt. He wasn’t gentle about it. My dad, he hunted rattlesnakes and maybe the occasional quail. It never interested me. He would tell me to shoot a squirrel and I wouldn’t do it! He would get a little mad, but then he’d give up. I had to find my own way when I was 35-years old. There are so many women out there who want to try it, I know it. They just have to find their way, and I want to help if I can. When I was buying my first rifle I researched and I posted on web forums for advice. The majority of the answers that came back was to get a .270. I took all of that information and I had a custom rifle built with a Remington barrel in .270. 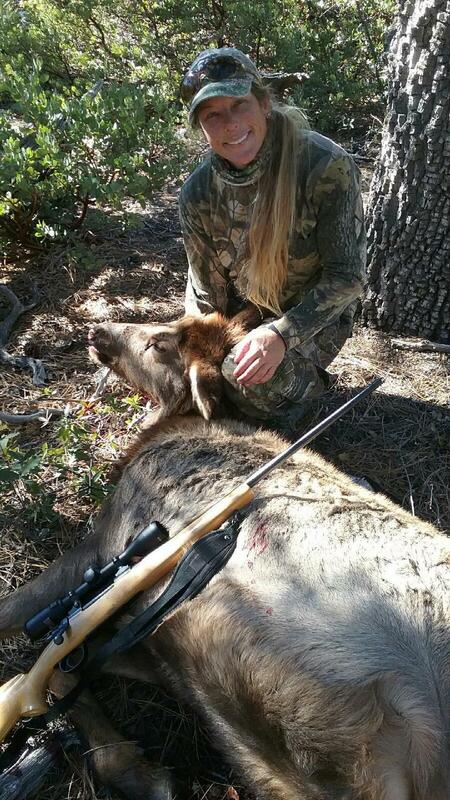 I took my first cow with that gun and have also harvested javelina, coyote, deer and an elk with it. It’s a good all-around gun.